Two days after the worst mining fate befell the Upper East Region, a crowd of enraged youth and grieving families have staged a very strong protest, calling for immediate withdrawal of the Shaanxi Mining Company Ltd from the Talensi District. The protest took place Friday evening at the mortuary of the Upper East Regional Hospital where the bodies of 16 miners reportedly killed on Wednesday by a toxic smoke from a Shaanxi mining explosive were kept. The autopsied bodies were inside the morgue with a number of affected mineworkers still on admission at the same hospital as Bismarck Zumah, who would tell the press later how the mortuary became the venue for the protest, read a press statement on behalf of the mourning multitude in his capacity as the Vice President of the Concerned Youths of Talensi. “It’s indeed a sad moment for us all,” remarked Mr. Zumah, surrounded by grief-stricken natives of Gbane, where the miners were gassed underground. “It should be noted that since the [Shaanxi Mining Company Ltd] started operating, a total number of 61 people have died through their operations. It is on record that none of these deaths received any compensation. We also want you to know that the explosive used on that day (Wednesday) contains strong gas, carbon, to intentionally kill our people,” he averred in the regional capital, Bolgatanga, as men sobbed in the background. 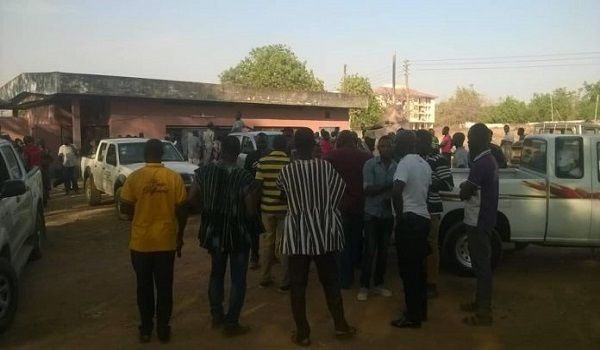 The community members who stood on the mortuary premises, calling for an urgent evacuation of the Chinese from Gbane, were in excess of one thousand, according to observers. “For a number of reasons, we couldn’t have held our press conference anywhere apart from the forecourt of the mortuary where our dead brothers are,” Mr. Zumah told Starr News. “They were killed and brought here. We cannot exclude them (the deceased) from the press conference we are having. They are part of what we are doing here today. The whole world should see what the Chinese have done to our people. See the crowd. No hall in the region could have contained the number. And no place could have been more suitable than where we have also come to pick 16 bodies at a go for burial,” he explained. As contained in the press statement, the frustrated members of the community also claimed the Chinese-owned Shaanxi Mining Company Ltd had no regard for “basic safety practices”— a display of defiance they said was “endangering the lives of our people”. They also said the company hardly served public notice before blasting mining explosives, at least with a vehicle to do a public announcement of an “impending blast”. About 500 miners reportedly were underground on the ill-fated Wednesday. 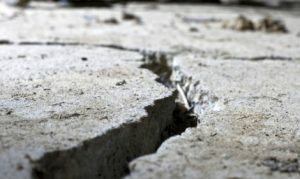 And the Chinese mining firm, after the disaster, was quoted to have described the victims in public as “illegal miners”. But the press statement objected strongly to the depiction, saying, “Our departed brothers are not illegal miners as put up there by the mining company, Shaanxi”. The protesters also poured out a great deal of venom on some public institutions they said had failed to avert the mining-related calamities the community had continued to suffer since the arrival of the Chinese in the district over a decade ago. “We also want to state that the community has never seen any recommendations from any institution anytime there is an accident. The Minerals Commission also failed to engage the community in a public forum as stipulated in the mining regulations. Shaanxi and their partners— Yenyeya and Pubortaaba mining groups— have never performed any corporate social responsibilities. Why? Taking our monies without giving back to the community,” they asserted. Tough-talking Acting Upper East Regional Chairman of the Ghana Small-Scale Miners Association, Robert Tampoare, was in the middle of an emotional speech at the mortuary when he broke into tears in front of news cameras and recorders. “It’s a great blow to the people of Talensi. We cannot contain it. And I want to be very straightforward to the Government of Ghana, the minister of the Upper East Region, the Minister for Lands and Natural Resources, the Minerals Commission [and] the Inspectorate Division of the Minerals Commission that it’s too much for us! “There is no any institution, there is no any department without somebody controlling it. The activities of my colleagues—Yenyeya mining group concession, Pubortaaba group concession and their investor counterpart— are not doing good for Talensi. But I don’t blame them. I blame the authorities. [They] continue killing our people and no one cares! If they were to be doing sustainable mining as the law says, they wouldn’t have been killing our people, our innocent youths,” Mr. Tampoare said in a speech disrupted by an outburst of tears.